Below are some articles related to the industry..
You don’t have to be a millionaire to be able to afford granny flats in the Brisbane or Gold Coast areas. You have seen luxurious flats sprawling in the yards of your friends and co-workers and wondered if you would be able to set aside the money to have one built yourself in a few years. More often than most companies would care to admit, when advertising a product for cheap, that’s what you get. Cheap. There’s a reason that the item is being sold for less than it normally goes for on the market, and businesses don’t want you to know about it. Family-owned and operated, Superior Granny Flats has been building additional homes in on the Gold Coast and in Brisbane for the past thirty years. But they’re not just any kind of home. They don’t attach to the side of your house or damage the outer finishing, because they are an independent structure. 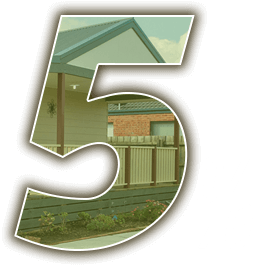 Very few companies in the business of manufacturing granny flats along the Gold Coast and Brisbane areas allow for the creativity and individuality that Superior Granny Flats allows. Often when customers suggest changes to the layouts of the granny flats while in production they are turned down for various reasons. It’s come to that point in both your child’s life and your own where it’s time for them to move out and get started on a life of their own. How many companies will let their customers branch off the standardised colour charts when building a granny flat? Or allowing you to pick and choose what you’d like (or prefer not to have) without putting up a fuss? We don’t know of many. Forbes has deemed granny flats as being the chicest way to live now that generations are pulling closer together to not only save on living expenses, but to be closer to family. And it’s true. More and more families are coming together. For whatever reason, whether it’s economical, environmental, or social, people are moving back home in droves.